The Alibaba IPO price has been set as $68 per share, at the high end of its previously proposed range of $66 to $68 per share. Through the IPO, Alibaba Group Holding Ltd. (NYSE: BABA) will make $21.8 billion, as the company is offering 320.1 million American depositary shares. However, that total could go much higher – near $25 billion – depending on how many shares the deal's underwriters purchase following the IPO. By raising $25 billion, Alibaba's valuation would be $168 billion. That's already a higher valuation than some of its biggest U.S. competitors. Currently, Amazon.com Inc. (Nasdaq: AMZN) has a market cap of $150 billion, while eBay Inc. (Nasdaq: EBAY) has a value of $64 billion. The $25 billion Alibaba IPO price would also make Alibaba the largest IPO ever, surpassing the $22 billion the Agricultural Bank of China Ltd. raised in 2010. Alibaba had initially set a price range of $60 to $66 for BABA stock, but raised the price after seeing "overwhelming demand," throughout the roadshow process. "Demand for Alibaba shares has been sufficiently strong that the order book is being closed early," Laurie Simon Hodrick, the A. Barton Hepburn professor of economics at Columbia Business School, wrote in a recent Fortune magazine essay. "The increase in the offering price announced after [Monday's] market close, raising the maximum price from $66 to $68, could indicate in part greater overall IPO appetite and more investor confidence in growth prospects for other firms. Tomorrow morning, Alibaba stock will begin trading on the New York Stock Exchange, and could open up even higher than its offer price if demand for Alibaba shares is high enough. 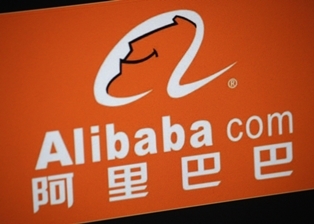 Money Morning's Executive Editor Bill Patalon has described the Alibaba as a "historic event." "Profit opportunities like this come along once, maybe twice, in an investor's lifetime," Patalon said. Many investors are hoping to cash in on the Alibaba IPO by making the "obvious" move. But there's another way. There's a unique "backdoor" company (not Yahoo) that most people have never heard of before. Patalon's research shows you can reap huge profits on this right now. Go here.